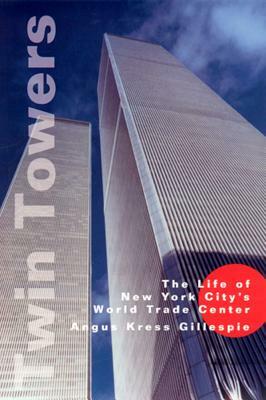 A readable account of both the history of the construction of the Twin Towers and the life of the people who work there. The Twin Towers of the World Trade Center are more than office buildings. They are symbols of America, just as the Eiffel Tower and Big Ben represent their countries. Commissioned in 1962 and completed in 1976, these edifices are still the tallest man-made structures in New York City. Indeed, the builders intended the towers to make a statement about the importance of the Port of New York and New Jersey. The complex rises like Emerald City, with fountains and sculpture from what was once a dilapidated area of half-abandoned stores. Twin Towers also demonstrates how engineers prepared the site and solved complex problems (wind patterns, elevator placement, ground-water complications) in order to erect the towers, each with 110 stories. And he discusses the contrast between the architectural community’s almost universal disdain for the towers’ design and the public’s enthusiastic acceptance of the buildings as a symbol of New York. There is more to the Twin Towers than its architecture, however. People give this complex life, purpose, vibrancy, Gillespie points out. The World Trade Center houses more than 400 businesses and organizations from some 60 different countries engaged in a broad range of international business activities. Through his numerous first-hand interviews conducted with the people who daily work there, Gillespie vividly portrays the world of bankers, shippers, freight forwarders, and traders. With skill and insight, he captures what happens during a normal 24-hour day in the Twin Towers, starting with early morning food deliveries and ending with the patrols of nighttime security guards. Twin Towers is both a fitting tribute and careful analysis of one of the most resonating symbols in American culture.